About 200 people work at the Windsor Salt mine. The CEO of the Windsor Port Authority says it’s “great news” the Ojibway salt mine is expanding. Windsor Salt will invest more than $60 million to expand to the next mining level, another 121 metres below ground. The investment will help boost production and extend the life of the mine by nearly 50 years. That means steady business at the Windsor Port Authority. 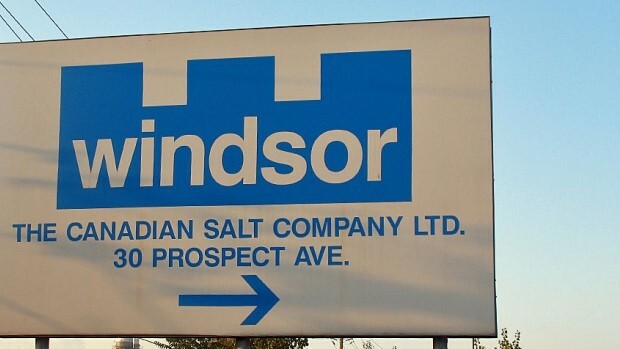 “It’s great news for the Port of Windsor and the port authority and obviously Windsor Salt. They’re one of our biggest operators here in the port; traditionally the largest single terminal in the port,” Windsor Port Authority CEO David Cree said. Last year, from April 2 to July 31, 1.4 million metric tons of salt was shipped through the St. Lawrence Seaway, which includes the Port of Windsor. Windsor Salt said the journey of one cargo vessel takes almost 1,000 truckloads off Ontario highways. As part of the expansion, Windsor Salt is also converting its mining method and upgrading its equipment. The company employs more than 200 people in Windsor.